Shortly after my trip to the Zoo I read this blog post on Weave A Web. It is supposed to be humorous – which it sure is – but in connection with my zoo visit, it gave me some food for thoughts. Do we really need to interfere and ‘improve’ the Nature? Is the ‘conservation’ real? What is the percentage of successful reintroduction of a species to the wild? Especially if ‘the wild’ is made unlivable for animals by humans. I don’t want to upset you at the beginning of my post. 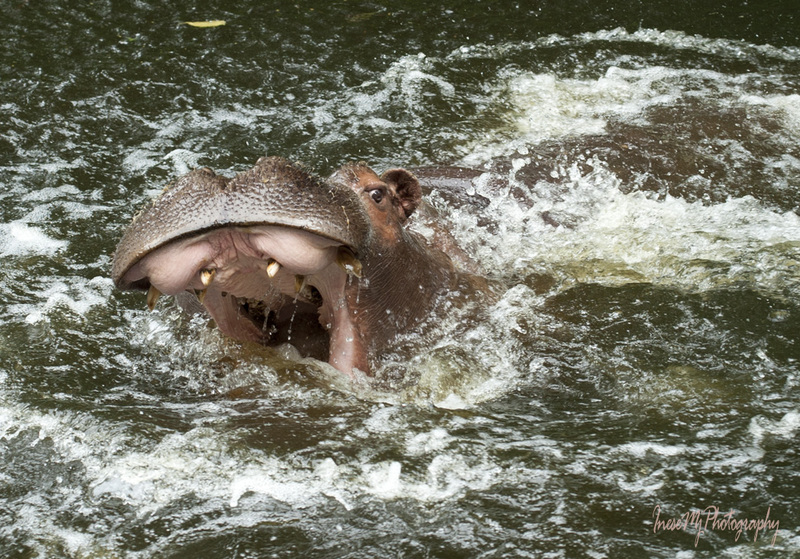 Let’s go back to the hippos and watch Atiya and her antics. In 2002 a tragedy struck. 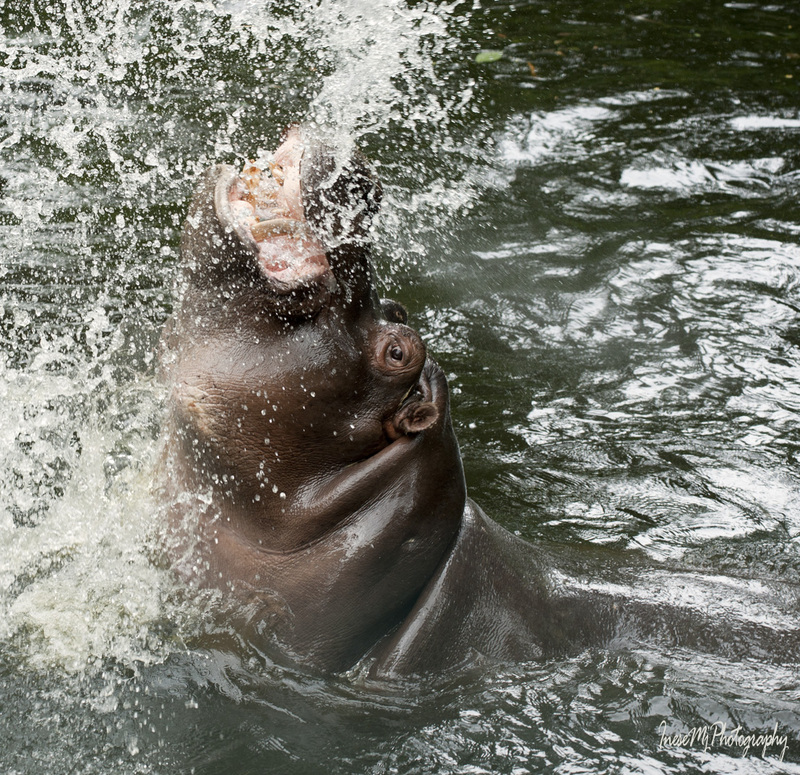 Linda, a 28 years old female hippo, became ill and died. A post mortem revealed the tennis ball blocked her intestine. As they don’t sell tennis balls in the zoo, it had to have been brought in by a visitor. Linda’s 13 month old son Hoovie who had never left her side, kept wandering around the enclosure, lonely and confused, looking for his mother. Henry, her mate of 16 years, was left bereft. Later he got a new mate, Heidi. The last group of animals we will visit today are our ‘cousins’, the primates. Saki monkey in this picture looks gorgeous, but I would love to see him more contented. Western lowland gorillas look even less contented. It was the saddest place I visited in the zoo. Are they still grieving? Sunday May 29 2016 was one of the saddest days in the zoo. 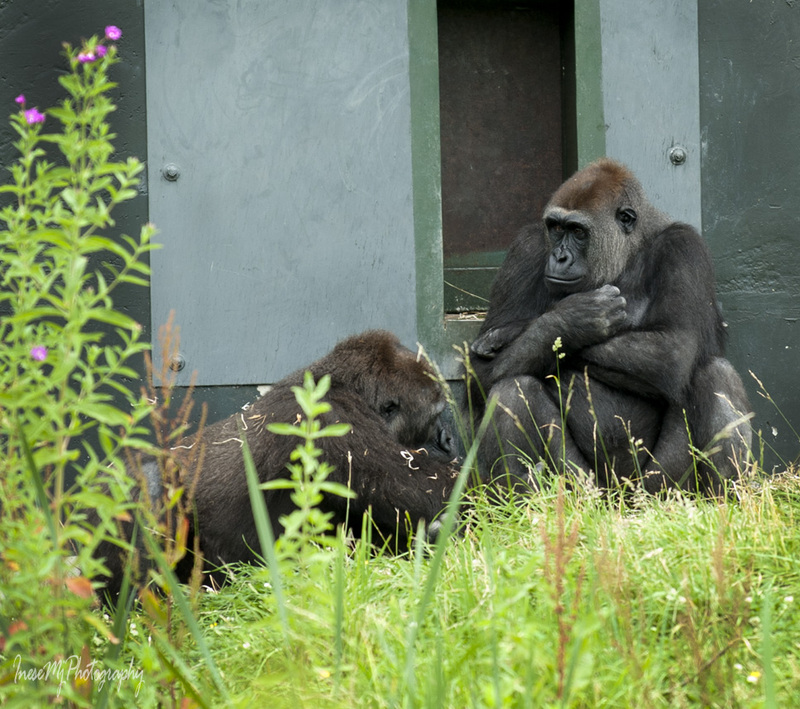 Harry, the ‘gentle giant’, beloved silverback passed away. Ireland was heartbroken. Harry presumably suffered a stroke after being unwell for a few days. Harry arrived at Dublin Zoo in September 1995 when he was just nine years old. He was 29 when he died. 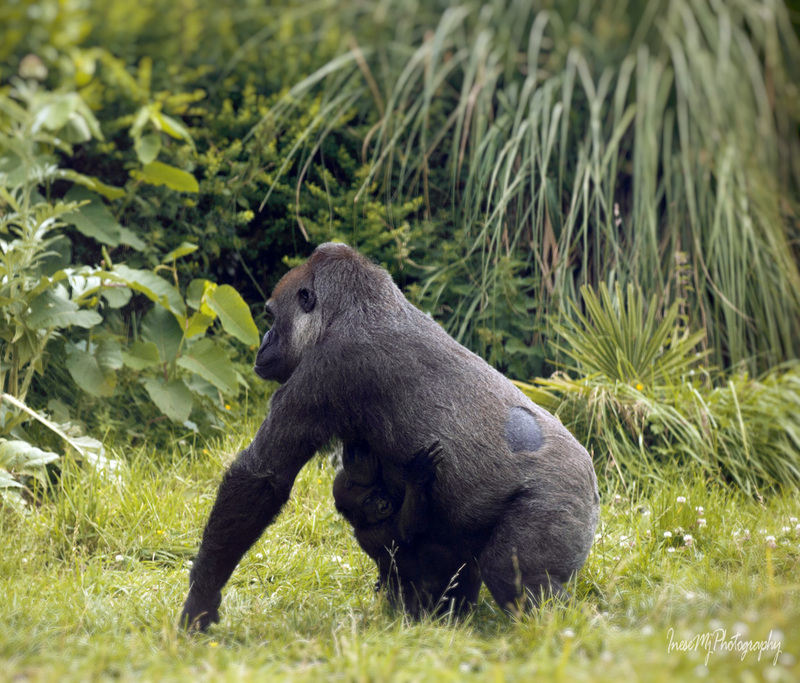 His mate of 21 years, Lena, and the other gorillas searched the island for Harry and cried. Lena and Harry had six babies over the years. 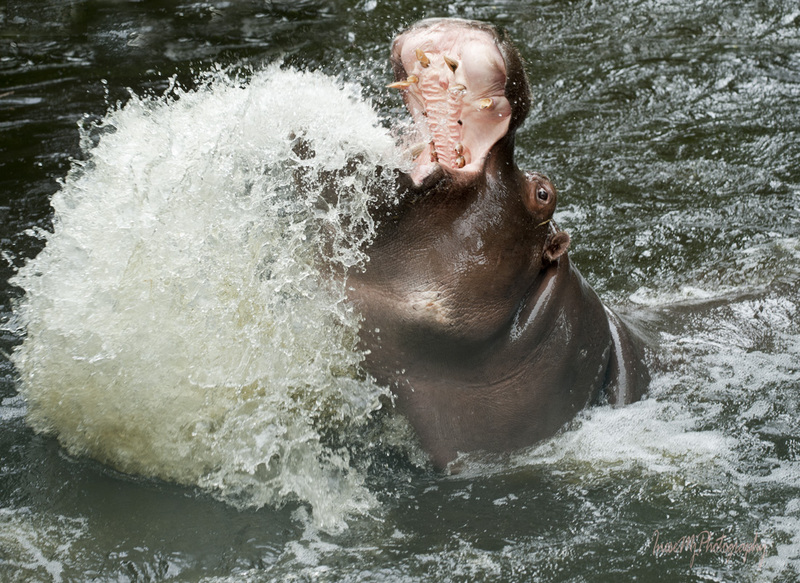 When Harry died, she was pregnant and gave birth to a healthy baby boy Kitoko two months later. 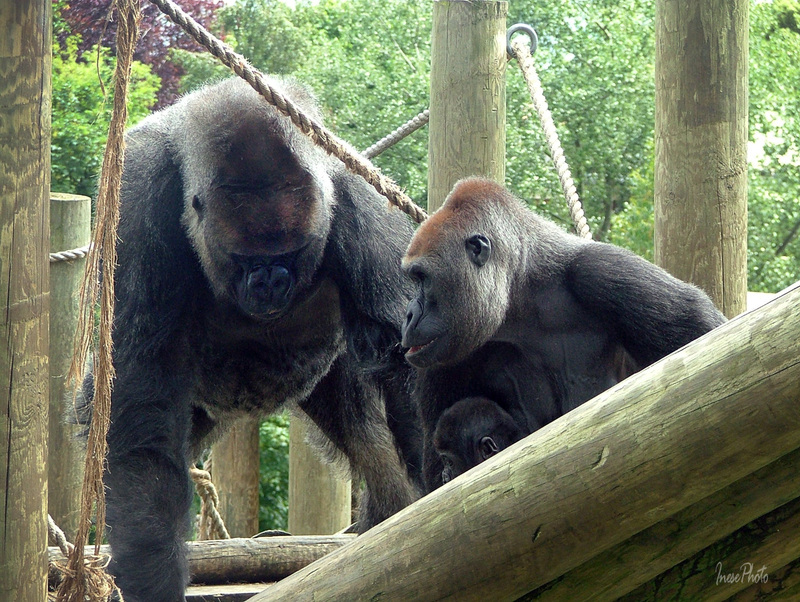 It is what their enclosure looked like in 2007. The main entertainment was to sit and stare through the glass into the greenery. 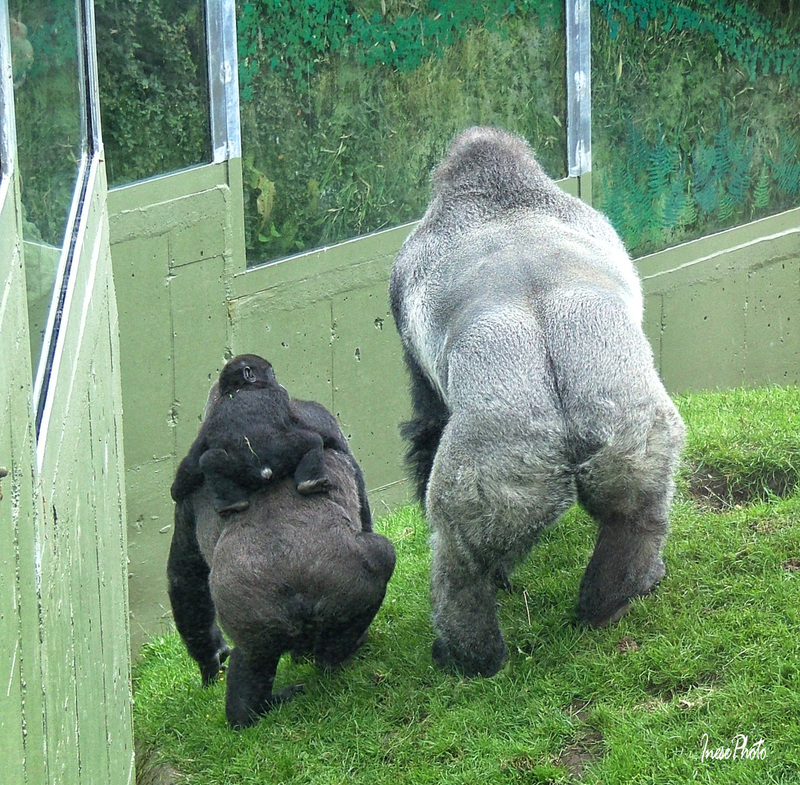 Henry died shortly after the troupe were relocated to the spacious Gorilla Rainforest. Was it too much for the 29 years old leader to monitor such a big territory? I don’t know. He was a great leader anyway, calm and gentle. If a fight broke out, he would step in and stop the conflict. Life is going on. New babies are born in Gorilla Rainforest. 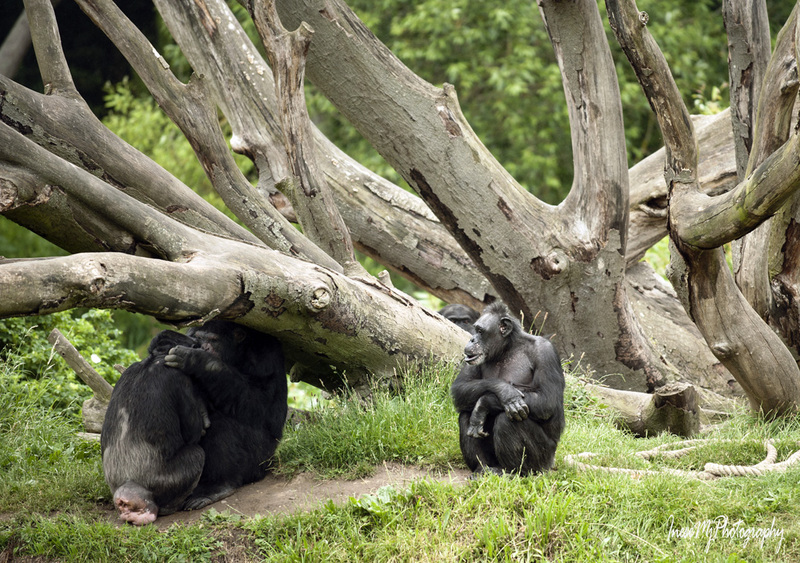 And here are some pictures from the Chimpanzee Island. This chimp looks sad and lonely. Another chimp sees that and hurries to his pal to offer comfort. Too late! Someone else is already there with a hug. It is so good to have a friend by your side. 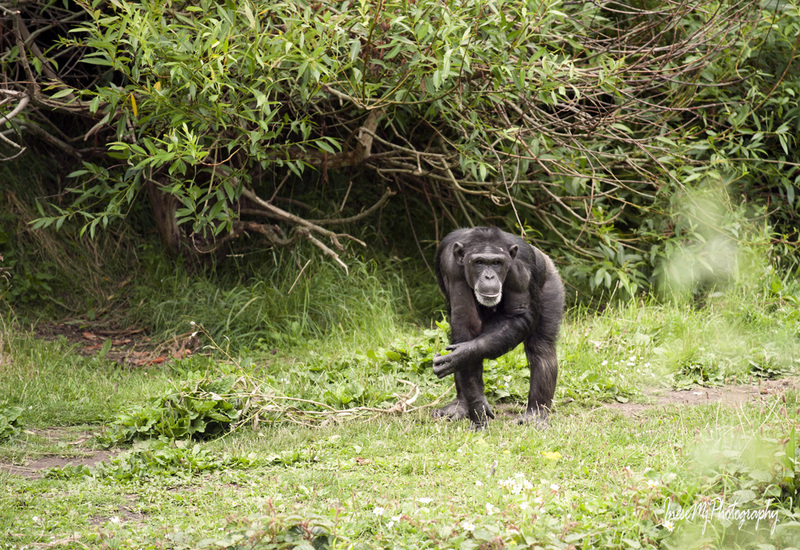 As some of you might have guessed, I went to the Dublin Zoo to see Philip. However on that day the old Reptile House was closed as the animals were in the process of moving to the Zoorassic World. I left without answers. Later that day I emailed to the customer service and asked if they had a Water dragon in their Zoorassic World collection. A lady named Jennifer replied that they hadn’t. Then I asked if a water dragon they got from the Reptile Village has died, and she said no, he just moved to Dudley Zoo in April this year. I opened their page. The dragon didn’t look like Philip to me. I have to see the dragon to be sure as he has some distinctive features I could recognize. I don’t give up on finding Philip yet. Thank you for your wonderful company! A nice post. 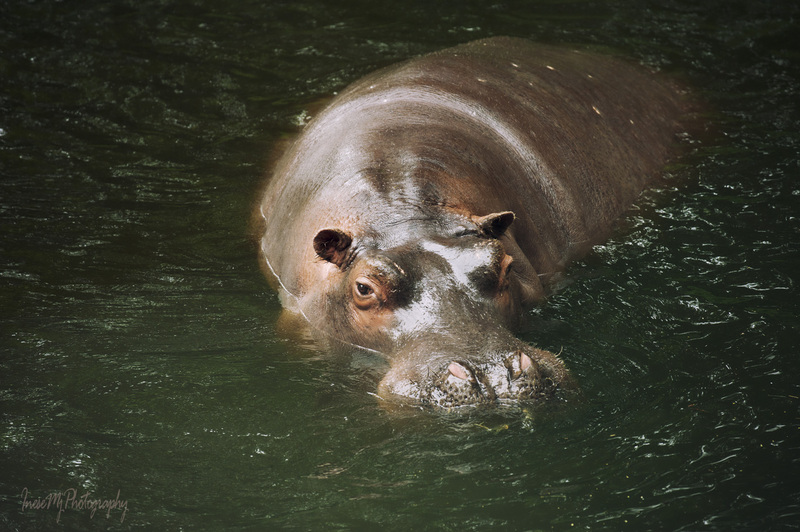 I know zoos carry their weight of sadness, but… as I was raised in an Africa where animals roamed freely I can’t help but think that soon, zoos will be the only places one can see a hippo. Or a gorilla. Sad really. Yes, it is very sad. Zoo animals won’t save the species. There is so called extinction threshold. When a species drop in number down to this critical point, they are heading to extinction, and no Zoo will make a difference. Animals need their habitats to exist, but the mankind is taking their land away from them. Another very thought-provoking post, Inese, and some very sad stories, too. Human stupidity never ceases to amaze and sometimes appal and too often magnificent creatures like Linda suffer because of it. I can also see why you’re concerned about Philip It seems that people you’ve contacted are being cagey about his whereabouts. I do hope you locate him – alive, I mean. It would be another very sad story if he isn’t. Your opening paragraph made me reconsider my comment on Part 1 of this post. I confess, I hadn’t considered the likelihood of ruined habitats when animals bred in captivity are released into the wild. The extinction of some are inevitable when that is taken into consideration. However, it’s good to hear that Dublin Zoo, and probably others, are doing much nowadays to improve the environments of the animals. The new Rainforest is so much better than what the gorillas had before. As always, your photos are wonderful. Each one tells a story on its own. 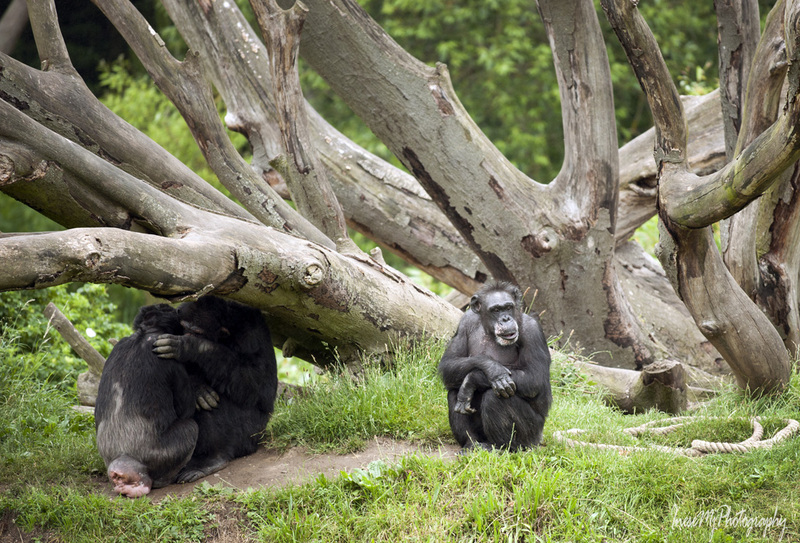 Animal behavior gives away their feelings about living in captivity. Repetitive movements like pacing or rocking and any other stereotypical behavior send a signal of a mental health problem. It is not a secret that strong antidepressants are used on a regular basis. However, it is possible to avoid all of this by expanding their personal space and studying their needs. I wish every creature had a happy life. Oh yes. It is a common practice. I didn’t know that. I have seen animals balancing to and fro, a clear sign of… psychopathology. But I didn’t know they gave antidepressants… yuk. Sad story about Linda. How can anyone be so cruel and/or idiotic to feed her a tennis ball? Thank you for stopping by! Yes, it is a shock to me how stupid people can be. Such sad stories, especially Linda! A tennis ball, really? And the poor little hippo looking for his mommy! It looks like a nice zoo and your photos are very beautiful. Thank you Antonia! Yes, it was such a tragedy. I wonder how these people are living now with the knowledge that they killed an animal? I have such mixed feelings about zoos though they are so much better than when I was a kid. I wish they could live in wide open wild places where they belong. Beautiful photos, Inese. Oh yes, much better! But there are more animals these days, and it means more responsibility. 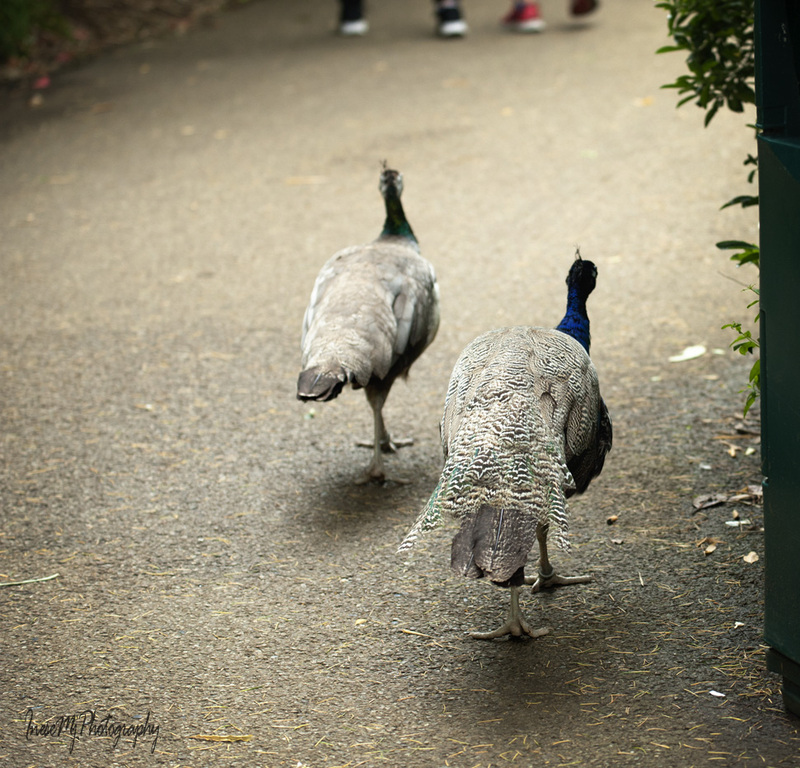 Dublin Zoo lost too many animals in a short period, and it is alarming. Working with / caring for people’s pets on a daily basis, and counting ethology as a hobby (when time permits) I too have mixed feelings about zoos. Or maybe more so, about the keeping of larger mammals in zoos. I recognise there are arguments for conservation etc, but maybe only zoos that can offer adequate space and facilities should be licenced to hold them. But then, of course, the paying public may never see them if they are hiding in ‘jungle’ or on islands etc.. Your photos, as usual, are amazing. Especially the hippo. The animals are beautiful…. extremely beautiful. Your pics of them are perfect. I hate what they originally meant, and what they have come to mean. Man is the one who should be in a zoo! Man is the evil empire. Man is the killer, the exploiter and the trying to be the savior. Wonderful! I love the gorillas most of all. Inese, just another thought to express. I think that sometimes the only place anyone will see these kinds of animals would be in a zoo. There appeared to be things to climb on in your photos. There was a family spirit among the different animals. Our Columbus Zoo has many acres and lots of jungle gyms and areas for animals to climb on during summer months. When it gets colder though, their zoo interiors seem a little compact. But then I think, I live in a one bedroom apt and I find cozy ways to entertain myself. . .
Of course I agree with you, but there is a lot going on behind the scenes, and we have no idea. As I always say – control and transparency is the main factor to run a successful zoo – ‘successful’ in the right sense of the word. Look at my pictures. The primates are depressed, you can see it with a naked eye. Two polar bears developed a mental illness and were transferred to another zoo. I can go on and on. 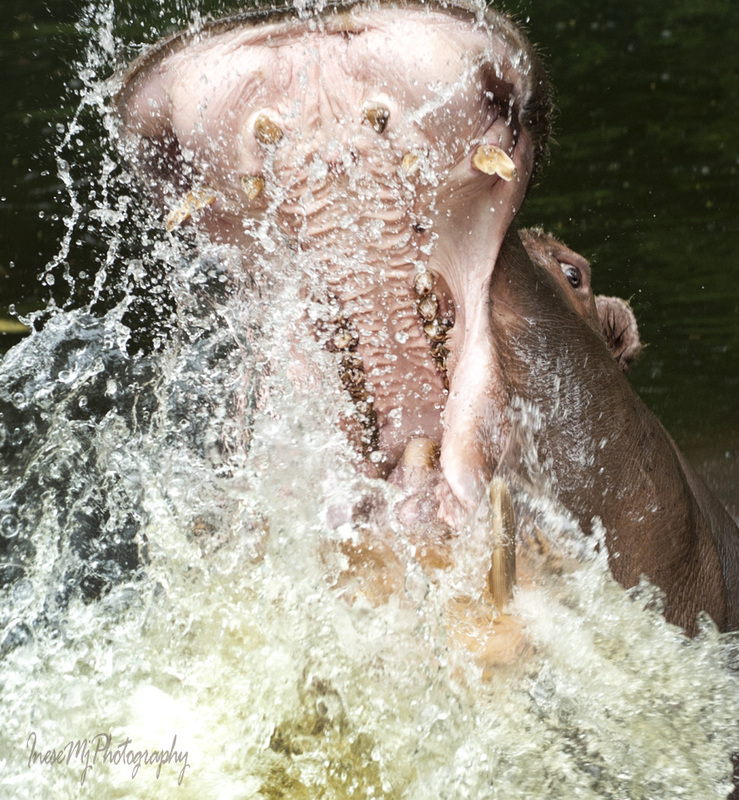 I really liked the hippo shots. The water spout is crystal clear and his personality caught. Nice! Fantastic, humongous, and gorgeous, Inese! 🙂 That had to be a ton of fun. Good golly! These are beautiful pictures, but like more or less everyone in the comments I have conflicting feelings about zoos. I don’t like animals in captivity, and won’t visit a zoo myself, but I can see sometimes preservation or protection might make it an option. Surely someone’s got the answers out there! Praying for your strength and hope to continue on. Thank you Jean. I wish his former owners cared as much as I do. I don’t own pets because I cannot give them all they deserve. Thank you for the link to my poem and your comment. It all makes me extremely sad… But the reality is – if we believe in evolution (which I do) then a dominant species will overcome another species and eventually that dominant species will die out. No one denies the theory of evolution more than the Greens! We cannot have our cake and eat it. A fantastic posting than you. Thank you Bruce! Viruses are the dominant species… They don’t need a host to survive. None of those inmates belong to the planet anymore. It’s been sieged by the presumptuous, rapacious species whom God cast in his own image. Do the other animals have their own gods then who have failed them enormously? 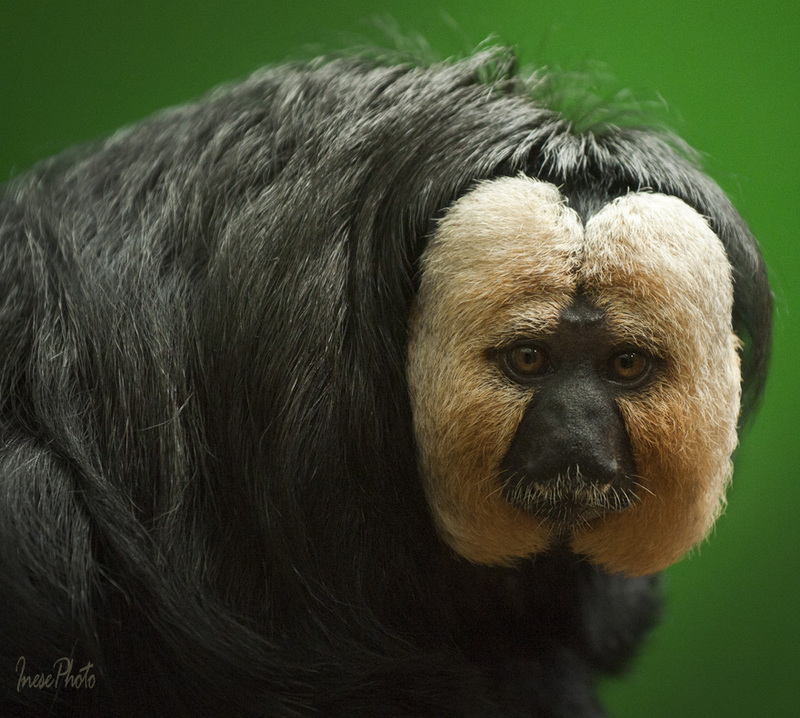 The portraits of the primates in desolation are heartbreaking. Thank you! Yes, it was heartbreaking to see the gorillas in that state. I understand that they still don’t have a leader to replace Harry, and it is what makes them so depressed. Another negative feature of living in captivity. In the wild, they would reorganize themselves and keep going. Thank you! I think that the animal circuses are the greater evil, let alone those animal traffickers supplying the fools who buy the animals they have no clue how to care of. I feel sad for these animals although I know they may be better off in the zoo than in the wild. 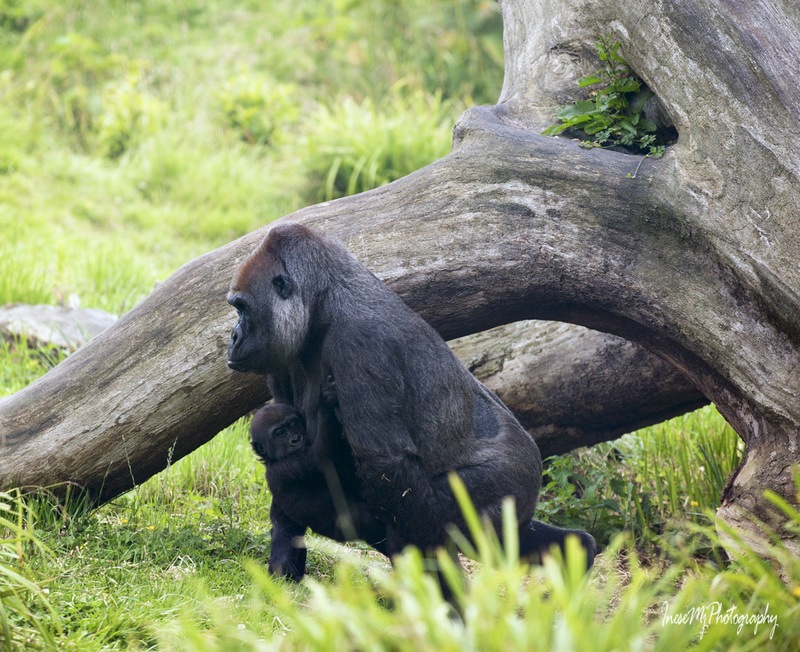 The loneliness of the gorillas radiate through the picture. Ah, how I wish they are where they are supposed to be, free and happy. Thank you so much, Imelda. They lost their 29 years old leader last year, it is why all the confusion and depression. What magnificent animals. I have very ambivolent feelings about zoos in general anymore. Especially the gorillas and big cats. They are so out of their element. They are kings, royalty, sytripped of their kingdom. 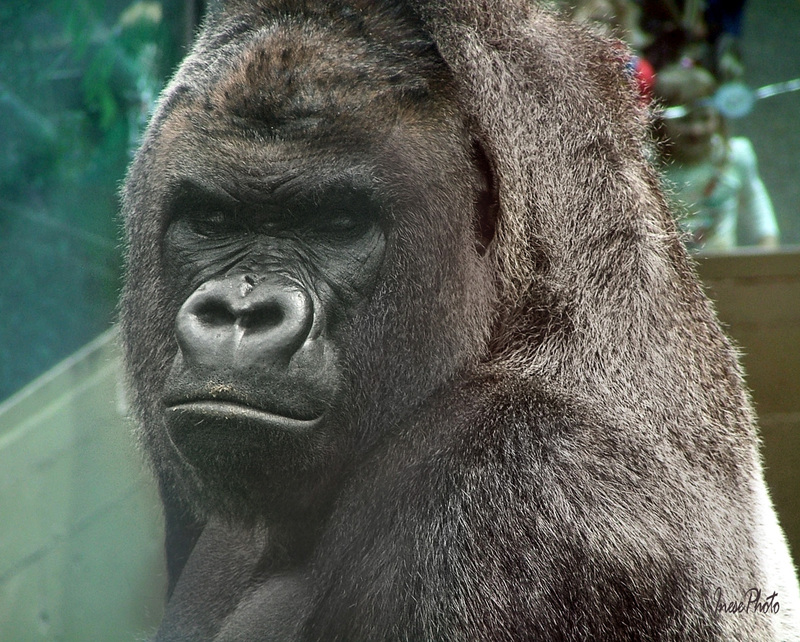 I have photos of the oldest gorilla in the Omaha zoo that I took on our last visit to see my grandchildren. As zoos go it is a very in ovative facility and most enclosures are realistic habitats. But the apes and big cats just are so stuck. They actually had a gorilla there once who planned and executed his own escape. You should look it up. It is the Henry Dorley Omaha Zoo in Nebraska. 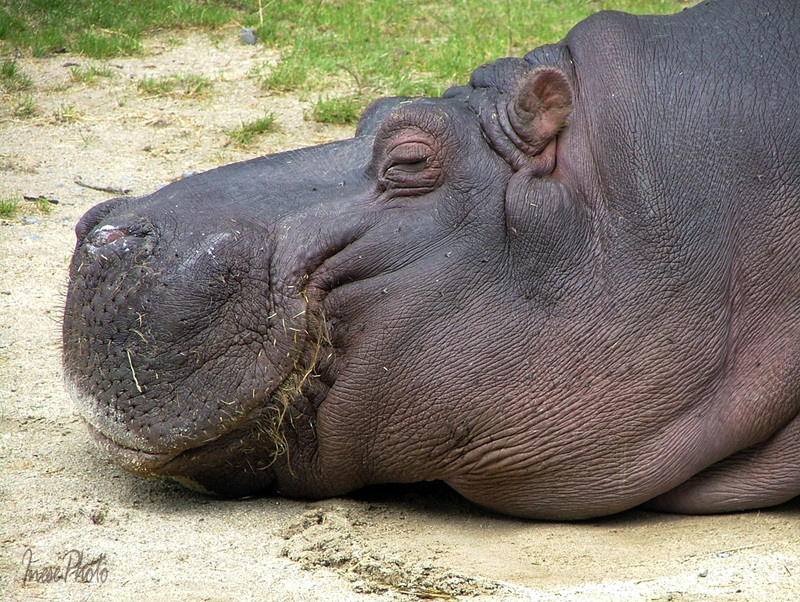 The hippo story broke my heart. Thank you, I will definitely read the story. These gorillas lost their leader last year. He was amazing. Now they don’t have any other capable male to choose from. Sad. Your post stirred my thoughts about animals in captivity. I can’t help but feel very sad when I visit a zoo or aquarium. Haven’t visited one in a while. I’m happier spotting a pug mark in the wild than a tiger in a cage! 🙂 There’s a greater emphasis on sighting animals rather than rejoicing in their survival. There’s good reason why they don’t want to see us. I wouldn’t blame them. 😦 Have you seen Planet of the Apes (the new release)? I think you will like it. Thanks you for this post. Thank you so much! No, I missed the latest movie. Have to catch up. I wish you had seen Harry the gorilla. He was so calm, he only had to turn his head and look, and all the fights stopped. Seeing the apes in such bad state broke my heart. Of course, life is going on, babies are born, but it is not the same as when Harry was around. Reading this post, it seems the zoo people are trying to improve the living condition as now I think gorillas are now in more space with real trees. 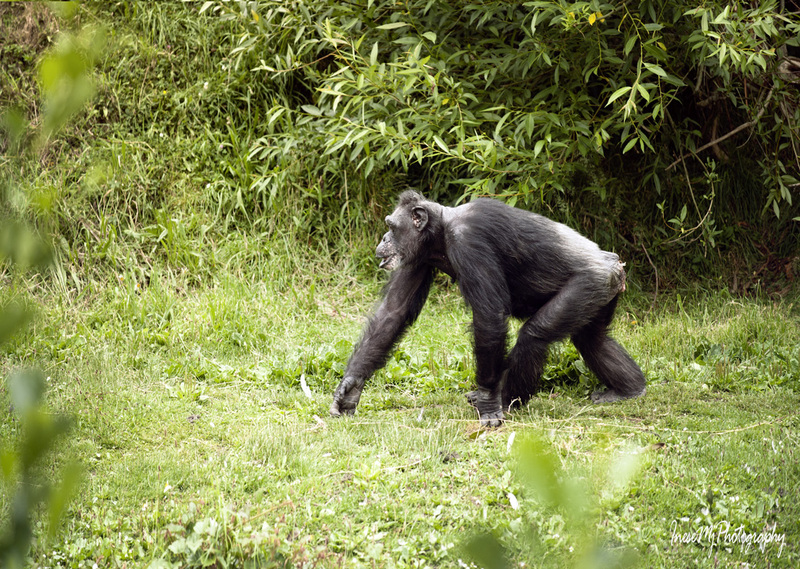 The picture of the chimpanzee sitting alone really looks like he was really sad. 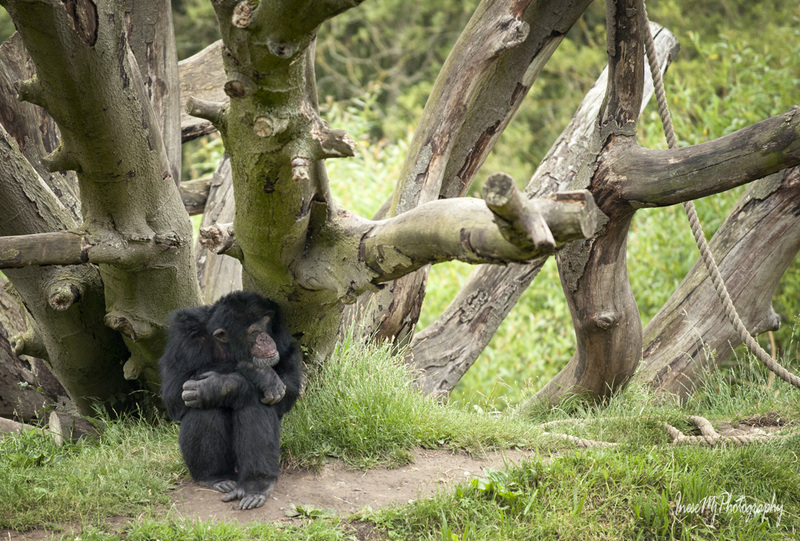 I am glad someone (other chimp) came to give him a comfort hug. Great captures! Thank you so much! I think the sad one is the oldest in the zoo, 50- something years old. 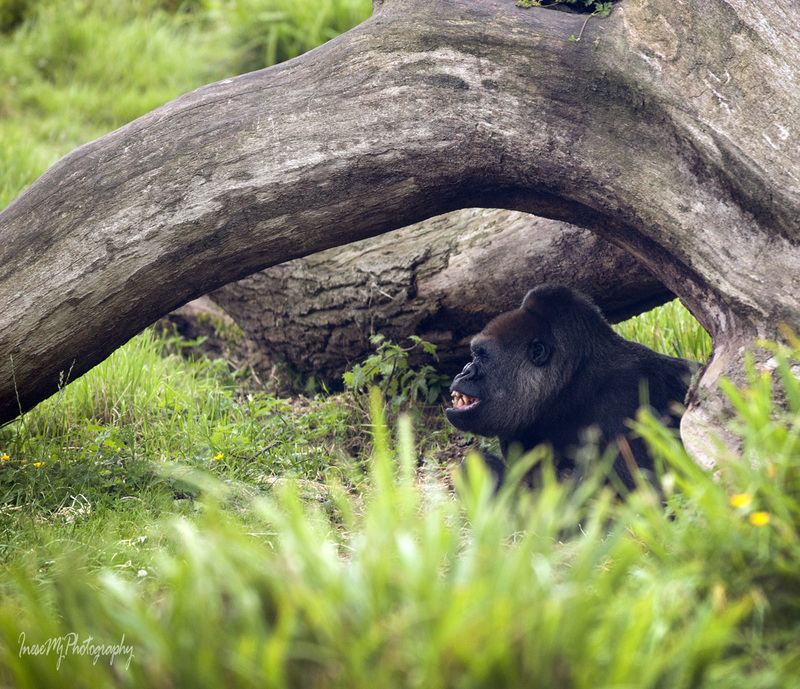 Yes, the gorillas live in very good conditions if you compare with their old glass enclosure where they had no privacy as the visitors were standing all around. They are sad because they still have no leader. There is no alpha animal who could take the leadership. They are devastated by Harry’s death. That is a sad one. I am wondering any plan to help the situation out? I don’t know. 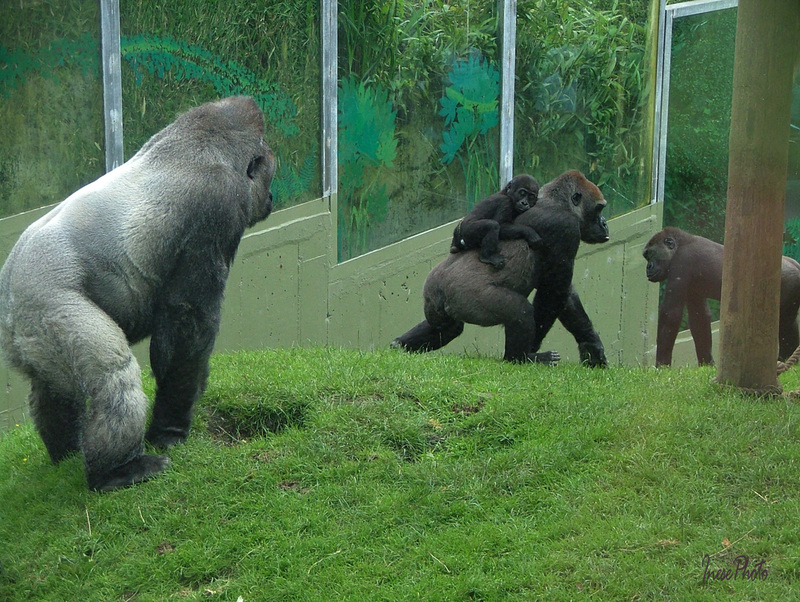 There is just a certain amount of gorillas in the zoo, not enough to choose the new leader. In the wild it is different. Here they are sad and confused. Humans never seem to credit animals with the ability to feel sad. Your wonderful pictures reflect that they do have such higher feelings Inese. It’s pretty bad what humans do to each other; even worse – arguably – what they do to all living things. Thank you for keeping that in the forefront of my mind, Inese. Thank you! It was quite a sad trip.